Guy Webster, a seasonal Chilmark resident and renowned portrait photographer, died on Feb. 5, 2019, at his home in California. He was 79. 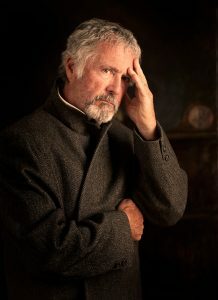 Recent portrait of Guy Webster. One of the early innovators of rock ’n’roll photography, Guy spanned the worlds of music, film, and politics in a stellar career of more than 60 years. While shooting album covers and billboards for groups that included the Rolling Stones, Simon & Garfunkel, and Chicago, he also photographed such film legends as Rita Hayworth, Dean Martin, and Natalie Wood. Guy had a deep love for his devoted wife of 40 years, Leone; for his children, Merry, Jessie, Sarah, Erin, and Michael; for grandchildren Dylan and Melissa, and for his brother Roger, also known as Mona. In lieu of flowers, the family would appreciate contributions made to the newly established Guy Webster Photography Fund, Oak Grove School, 220 W. Lomita Ave., Ojai, CA 93023. Arrangements are under the direction of the Ted Mayr Funeral Home, 3150 Loma Vista Road, in Ventura, Calif. Condolences may be sent to TedMayrFuneralHome.com. The post Guy Michael Webster appeared first on The Martha’s Vineyard Times.